After President Obama’s announcement of his long-awaited strategy to defeat ISIS, there’s been considerable discussion as to how the world might respond to the strategy and the likelihood of its success. There’s also a growing and necessary discussion of what Australia’s role should be. The rise of ISIS—and the somewhat patchy response by the West—has been both interesting and disturbing to watch. The common view  is that it’s a regional problem with global implications and that states like Saudi Arabia, Jordan and Turkey should be more forthright in their response. My concern is that far too many commentators are focused on the impending ‘fight’, and the means to execute it, to the exclusion of all else. There’s little said about the broader regional landscape after the fight. My fear is that the conventional wisdom again sees the answer solely in US leadership of a coalition of supporting nations with highly-mixed capabilities—some offering nothing but rhetoric, others a limited range of combat capabilities surrounded by so many caveats on their use as to add little value. The Arab League has joined the chorus for a collective response but its ability to bring together one of its own is questionable . Disturbingly, the key lesson of two Iraq Wars and Afghanistan seems already to have been forgotten—success turns on winning the peace. A strategy to build the social infrastructure and governance necessary for nations to grow and thrive economically after the fighting ceases needs to be part of the plan from day one of combat, not something appended late in the campaign. The current focus on disrupting, degrading and containing ISIS is too narrowly cast. While limited operational objectives are important to guard against ‘mission creep’, the broader regional context must also be part of the collective thinking as the strategy to counter ISIS is developed. In a recent WSJ piece on the rise of ISIS , Gerald F. Seib and Bill Spindle focus some light on the potential silver lining to what is a dark cloud of substantial proportions. 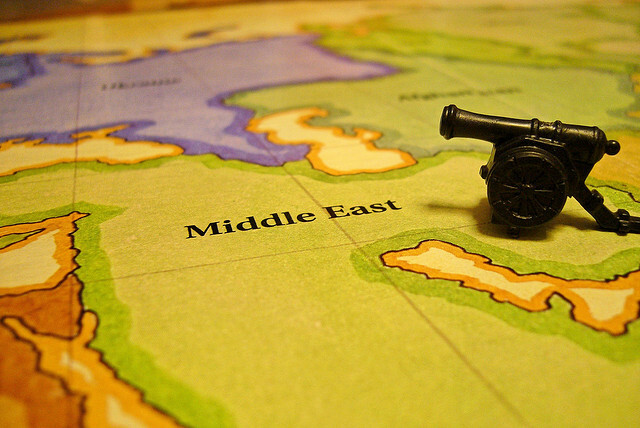 For the first time in modern history we may just have an event, which enables the Middle East’s deep-seated resentment, mistrust and self-interest to be put aside. Will it be easy? No. Should the broader opportunity be missed? Absolutely not. The question is how to seize the moment. The UN General Assembly Leaders’ Week to be conducted in New York later this month offers a unique opportunity to leverage the universal dislike of ISIS to achieve a response which just may have the capacity to start a process to breakdown generations of self-interest among regional players. ISIS is no longer a pure Sunni–Shia issue—it’s a pan-Middle Eastern issue that demands a pan-regional response. There’s no doubt ISIS needs to be defeated on the battlefields of Syria and Iraq—but that’ll be a short-lived victory if the regional issues that fuel and sustain ISIS aren’t dealt with. The building of a military coalition to bring to the fight can’t be the limit of our collective diplomatic thinking and efforts. The solution will not be found solely in US leadership; simply because the US role can be so easily manipulated by the astute social media players we currently see in ISIS to create the perception of another bullying and haranguing Western coalition. A coalition of regional influence also needs parallel and urgent attention. In that regard support, direct or otherwise, to the military coalition may not be the only definition of commitment to the defeat of ISIS. We should be wary of condemning countries too quickly. The identification and development of shared interest among the countries of the Middle East will be the key. While on the surface the complexity seems insurmountable there seem now sufficient grounds to at least start a dialogue. In the short term, the US may have to temper its concerns about Iran in order to encourage Tehran to exercise greater and more responsible regional influence. Equally, the Assad regime may need to be tolerated in the mid-term to open a door to negotiations that might bring the region a step closer to ending the Syrian conflict. Does Australia have a role? While the government may commit forces in support of the US-led coalition it may also have a quieter and more significant role behind the scenes. While it’s easy to dismiss such a role as strategic overreach, the reality is potentially quite different. The influence that Australia has developed as a member of the Security Council and its reputation as a credible middle power in Asia and the Middle East offers the government the opportunity to use the UN General Assembly Leaders’ Week to, at least, encourage a pan-Middle Eastern dialogue. That will not be a quick nor easy road to travel; many have tried and failed. The difference now is a common foe that threatens the interests of many. Australia is a respected player not just militarily but commercially in the Middle East. Additionally, while we’re a close US ally we don’t threaten the key interests of the countries involved. The quiet leveraging of that influence may offer a significant return. It’s time to look at the macro picture in the Middle East rather than the micro—notwithstanding the latter’s great urgency and import. Michael Clifford is a senior fellow at ASPI. Image courtesy of Flickr user Stephen Coles .